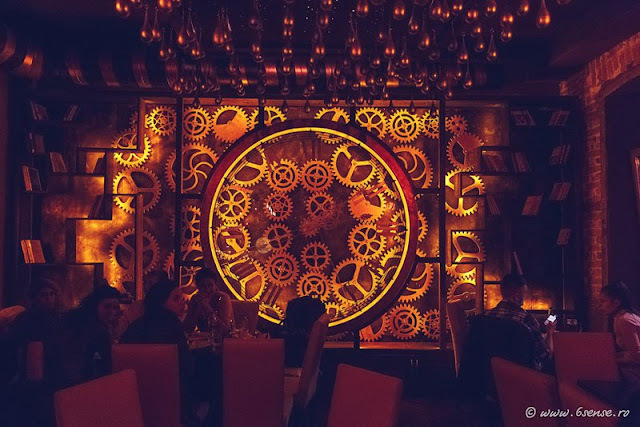 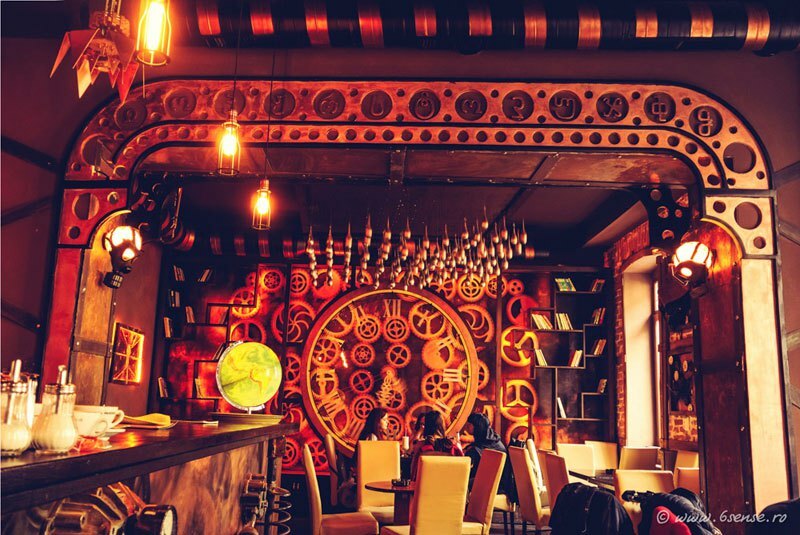 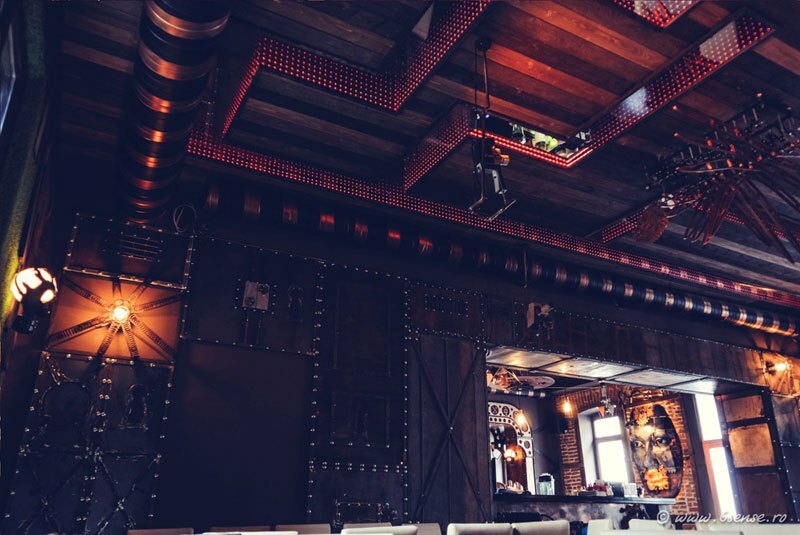 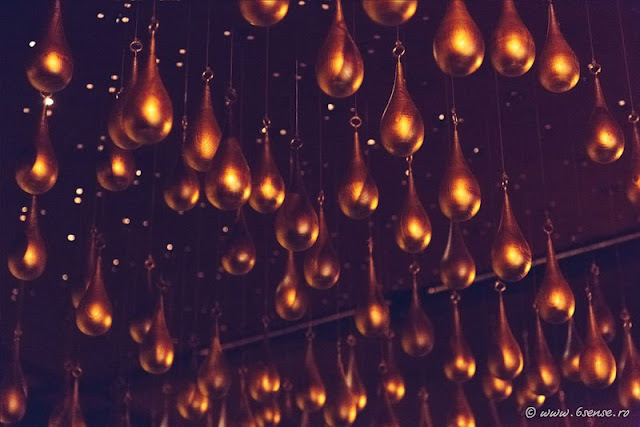 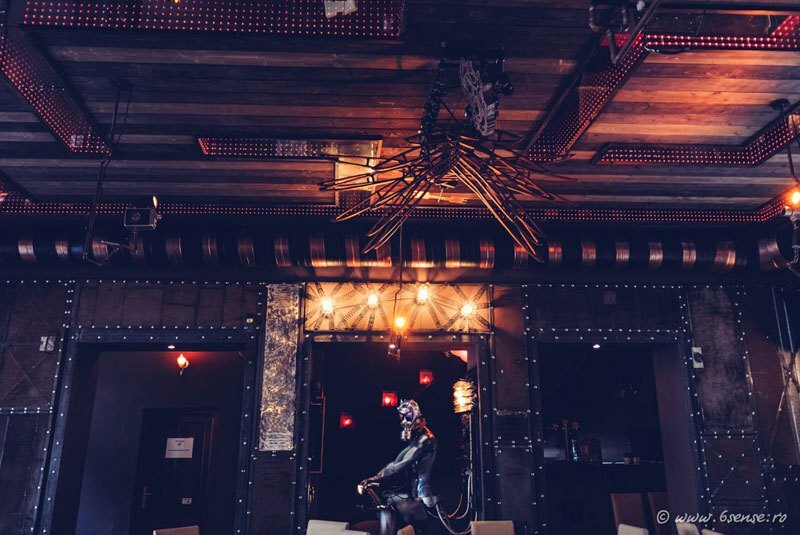 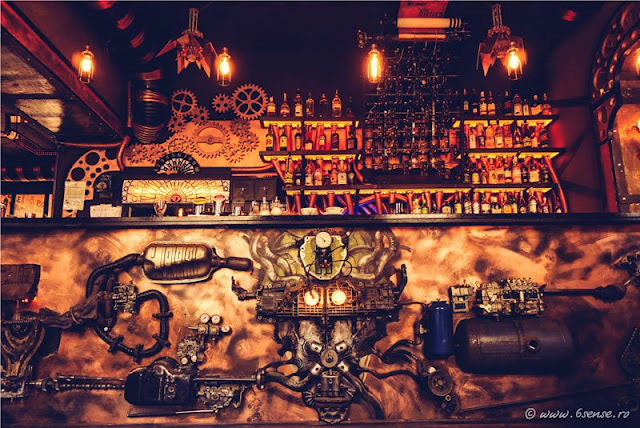 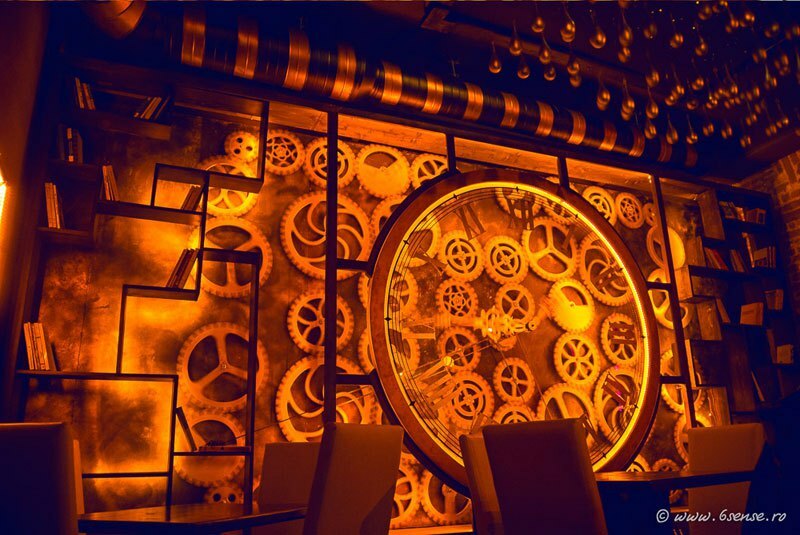 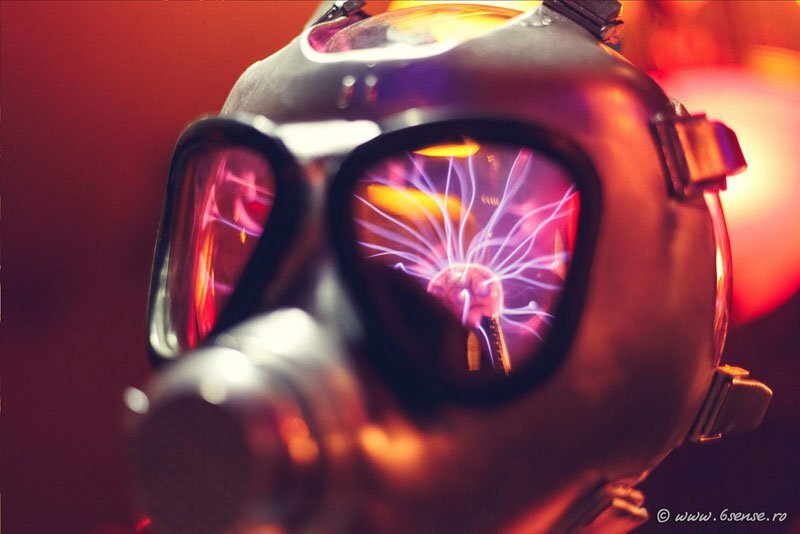 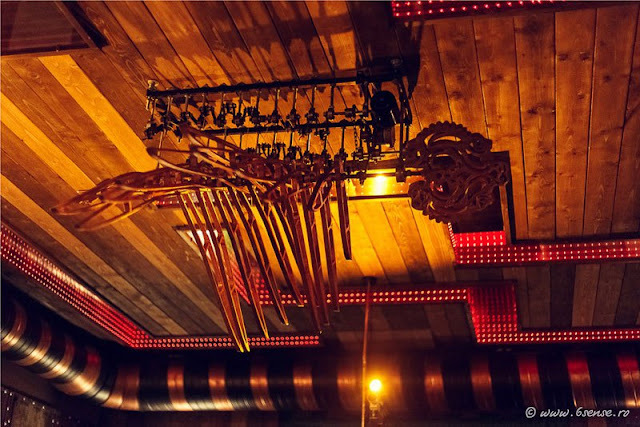 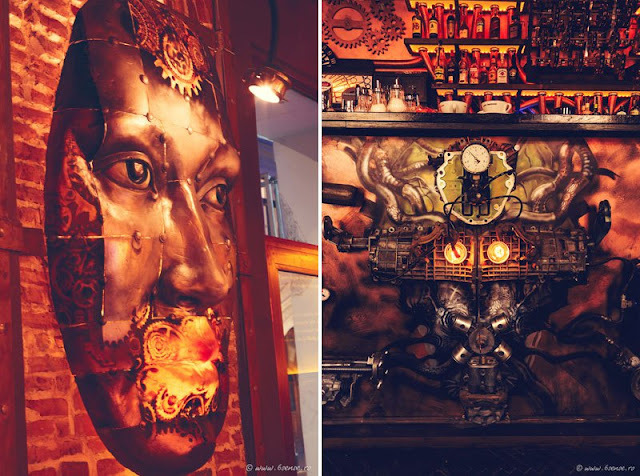 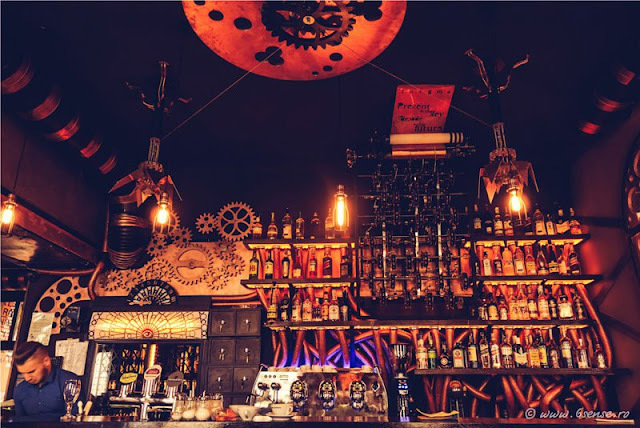 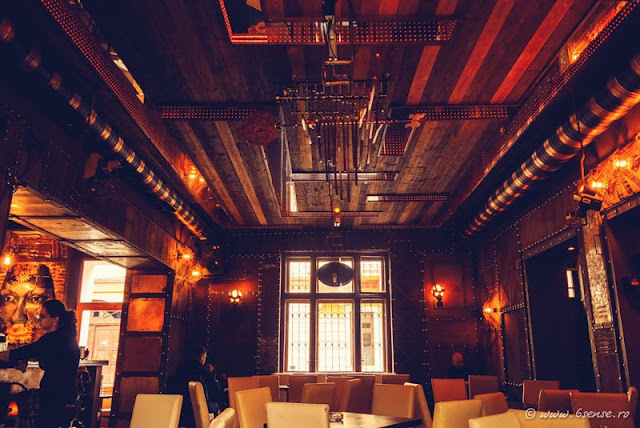 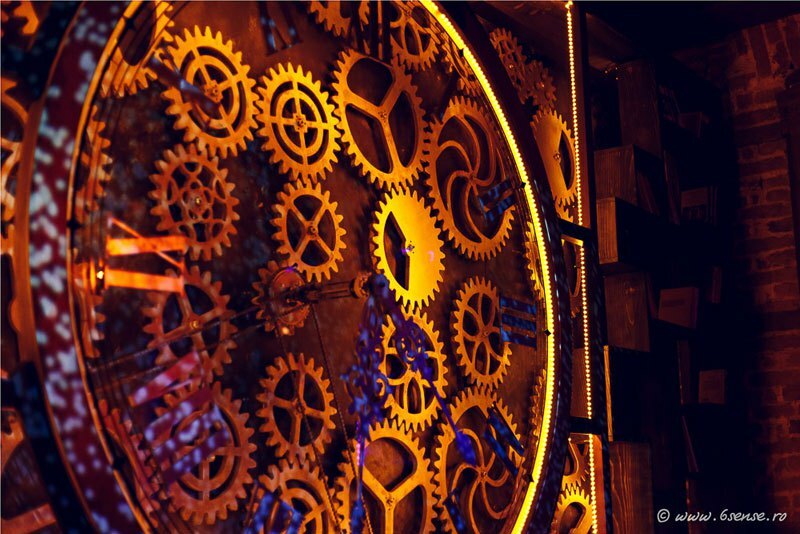 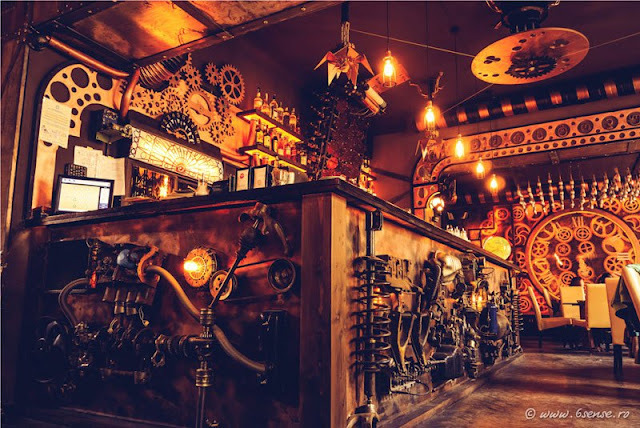 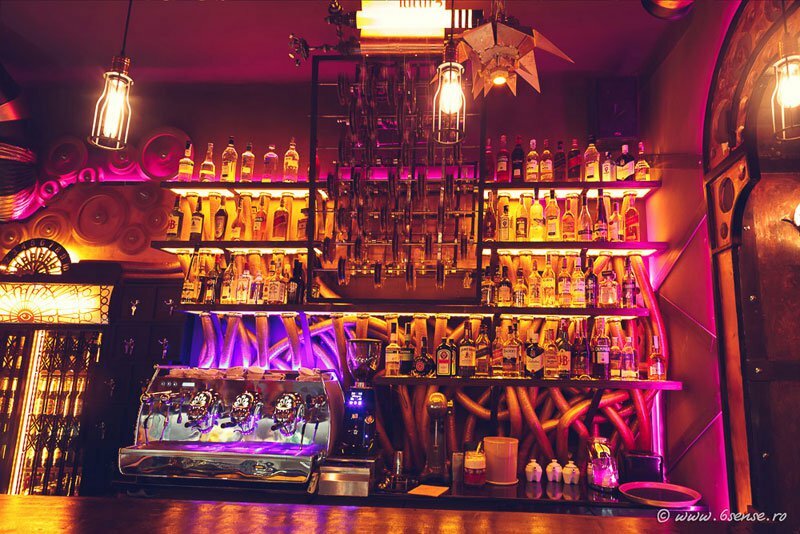 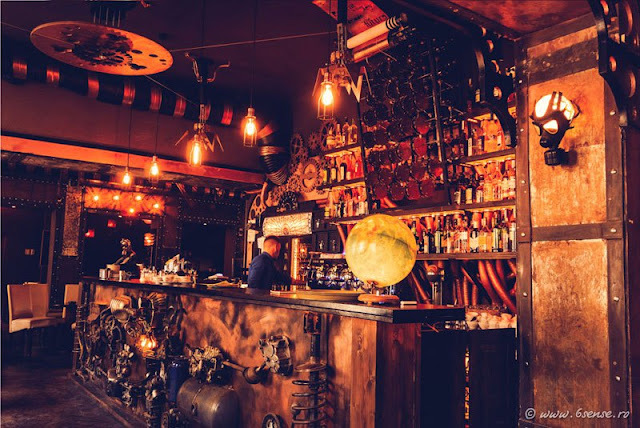 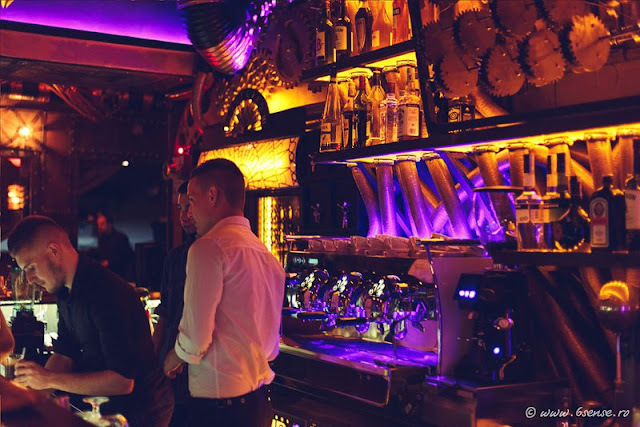 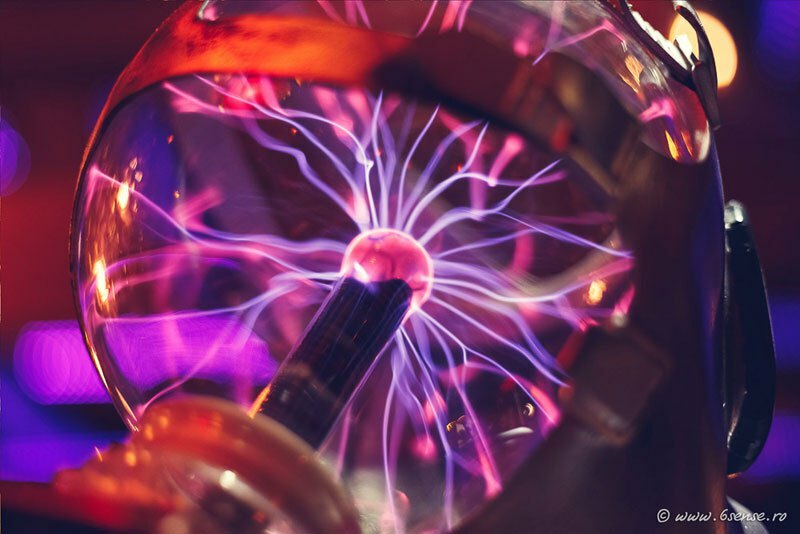 Alexandru Tohotan and Zoltan Zelenyak of 6th Sense Interiors recently completed an incredible steampunk-themed bar in Cluj, Romania that features a number of moving kinetic sculptures. After two years of work, Enigma Cafe (address Iuliu Maniu, Nr 12) is open for business and patrons can expect to find a number of artworks in constant motion from light and ceiling fixtures to gigantic wall clocks. 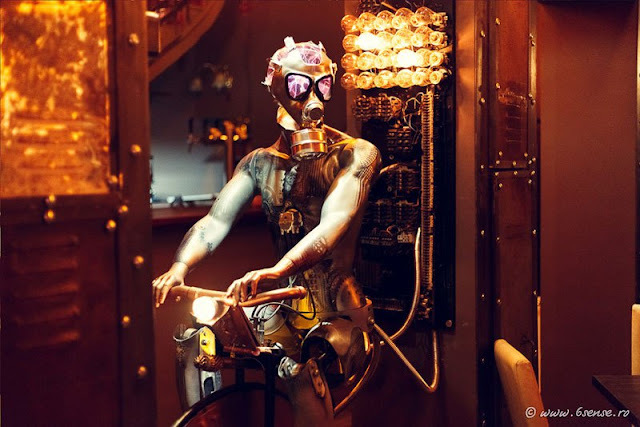 At the heart of the bar—seemingly powering everything—is a Giger-inspired robot on a bike, slowly pedalling while all of the moving parts around the interior move. 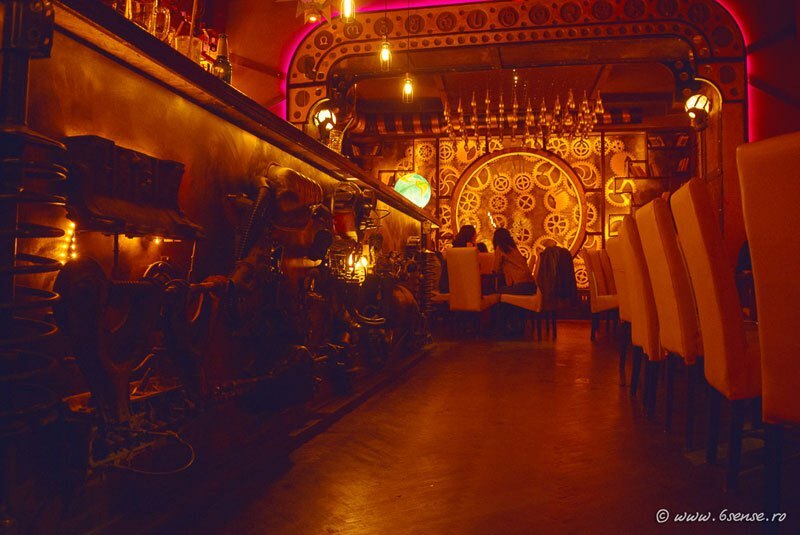 For more information visit 6sense.ro. You can also find them on Facebook and check out many more of their fantastic interior design projects.